Cpl. Joseph P. Waldrop, son of the late Mr. and Mrs. L. E. Waldrop, attended Frederick High School; husband of the former Mary Corbin. 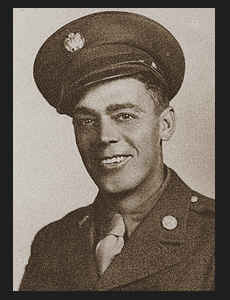 Entered Army in Jan., 1943, trained in Ft. Custer, Mich., Camp Opelinka, Ala., and Ft. Devens, Mass. ; went overseas in April, 1943, served in N. Africa, England; was discharged in Nov., 1944. Awarded Good Conduct Medal, ETO Ribbon.